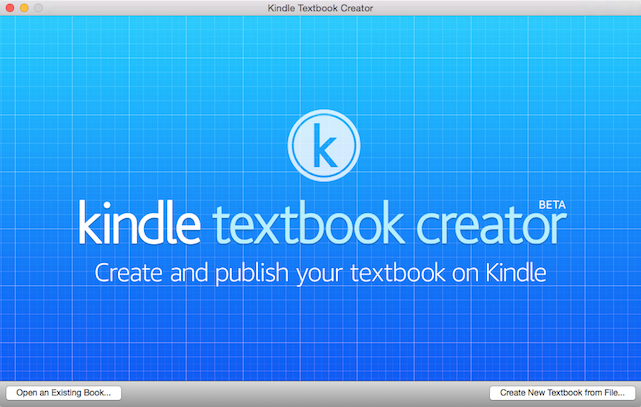 Amazon launches Kindle textbook creator which makes it easier to prepare eTextbooks and educational material. This improve the quality of your learning experience with features such as flashcards, note-taking and highlighting. “We look forward to seeing how authors use the new tool and getting their feedback to guide us in adding more features to KDP EDU over time, says Amazon”. This new Kindle textbook creator allows educators to easily create, promote and endorse the educational content and electronic textbooks. This also allows students to access these eTextbooks on their iPads, tablets, PC’s and Mac’s. Authors and other educators can use the public beta of this tool from Amazon to convert Portable Document Format (more commonly know as PDF) of their textbooks to Kindle Books. It can be uploaded once the book is ready in the Kindle Books format. This can be done in a few easy steps with the last step when the authors upload the document to the KDP to reach the audience, primarily students across the globe. Books that are created and promoted with the Kindle Book Creator that contains features which enhance the student’s experience including multi-color highlighting, notebook, flashcards, dictionary and so on. Multi-color highlighting allows highlighting and specifying important concepts in order to make it easy for later referencing. Notebook allows students to add their own notes to access them later from one location. Creating flashcards makes it easier to make a separate list of important notes,definitions and concepts with an easy to use interface. Dictionary in the end makes it easier for you to hold and grasp information and to remember it for a longer time by finding out meanings and Wikipedia information of the difficult terms and concepts.